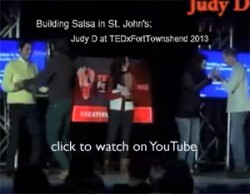 Salsa in St. John’s Celebrates 700 Members! Invite all your friends so we can make it 800!! 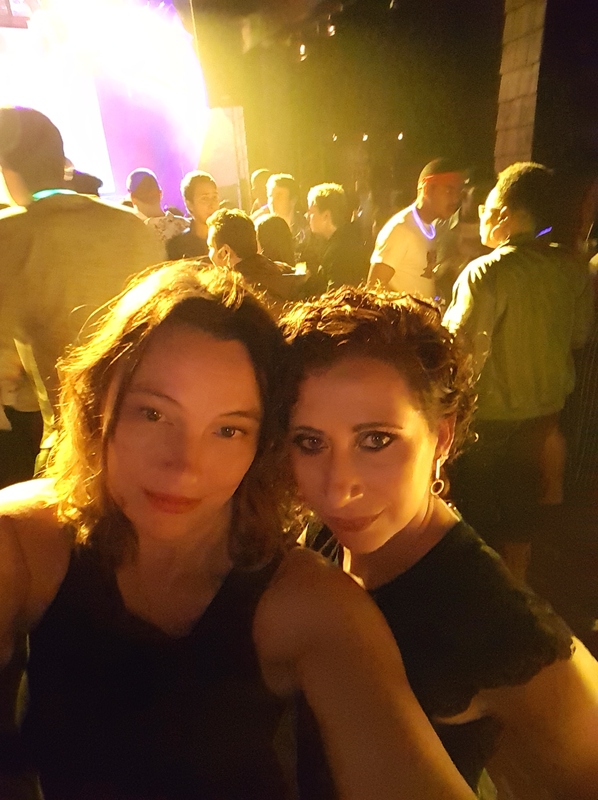 Dance all night with Ritmo Latino’s DJ Chamba and his energetic mix of Latin dance music… Salsa, Merengue, Bachata, Reggaeton and Underground Tropical Beats. –> Sunday Nite Salsa @ AnneXe is BACK, now hosted by DJ Marcelo and Annita! What have you been waiting for?! Right here on the Rock, let’s have some fun while learning some BACHATA, MERENGUE AND REGGAETON STEPS! EVERY SUNDAY 6-7PM at ANNEXE 2nd floor. FROM 7 TO 9PM $5 AT THE DOOR. –> NEW: Monday Nite Salsa @ Masonic Lodge, 8-11pm, hosted by Deneen Connolly Starting April 21st. Let’s melt the snow left with some sweat and heat! Its almost here – the next Latino Fiesta with DJ Marcelo! Come on out to enjoy with great music! Salsa, Bachata, Regueton, Merengue and much more! We cant wait to dance with you! 10:30am – 12pm: Workshop #1: Back to Basics.We’ll start the weekend with a review of the fundamentals of Lindy, such as position and connection. Even the most advanced dancers will benefit from this review! We’ll quickly move on to more advanced material. 1pm-2:30pm: Workshop #2: Intermediate Lindy Hop. Working on intermediate moves such as Swingout, Texas Tommy and Charleston variations. 2:45-4:15: Workshop #3: Intermediate Lindy Hop #2. A continuation of intermediate moves. Cost for all 3 workshops and social is only $20 !!! (or $10 for each workshop individually, $7 cover for the social). No registration required, just show up ready to dance! Milonga: a social tango event. If you’ve never danced tango before, there will be a foundations lesson from 7-8, with social dancing from 8-11. You don’t need to bring a partner, but may do so if you want. Bring: Yourself, a friend or two (if you like), dry shoes, and $5 to help pay for the venue. A big thanks to Tango on the Edge for helping to organize these milongas! (tangoontheedge.ca). DJ to be announced, music requests welcome. –> National Dance Week and International Dance Day are coming up in April…more news SOON!!! March-ing into Spring Latin-themed Events!